Does your business website run on a WordPress platform? If so, then you know that new plug-ins are being created all the time to give you an advantage. One that you shouldn’t be without is the WP Coupon Generator. Coupons are the coming thing again. At one time, coupons were the greatest thing since sliced bread. They allowed consumers to get products and services that they need at a discount. Businesses gained more customers and everyone was satisfied. Enter the age of “Groupon.” People can buy services and goods from local businesses and online sites at a reduced rate. Coupons can be printed and used, viewed on mobile devices and embedded with QR codes that link directly to the website where the coupon can be used. 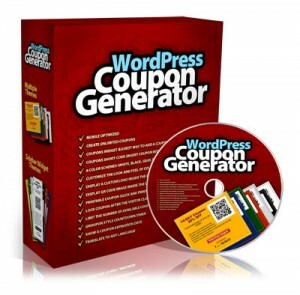 With WP Coupon Generator you can increase your sales and engage more offline clients. The software provides the means to: generate and manage many coupon offers at once, create coupon short-code to embed wherever you need it on your site, customize the look of your coupons as well as making them interactive so customers are always aware of how long they have before it expires. The software comes with support, updates and you are even entitled to a developer’s license.